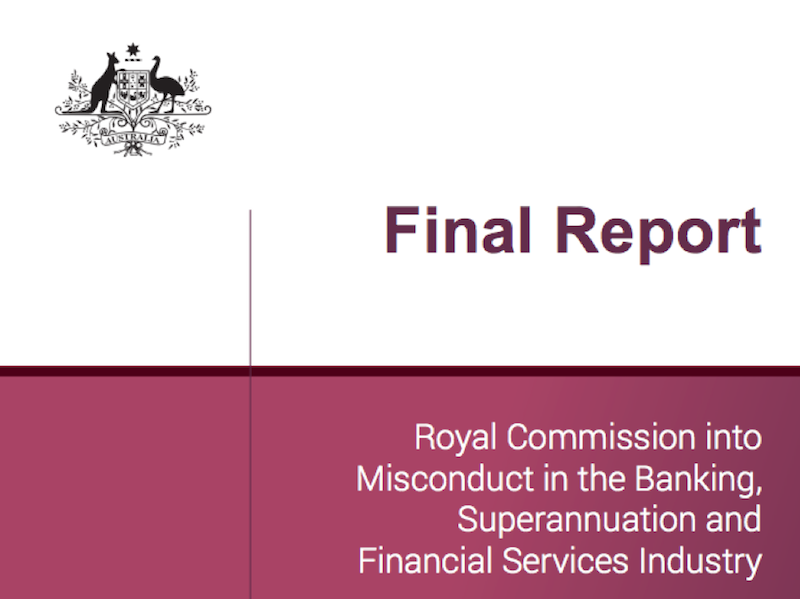 Over the past year there has been plenty of news headlines and opinions in the Australian Media regarding the Royal Commission into Misconduct in the Banking, Superannuation and Financial Services Industry. There were terrible examples that came out in the hearings, that would seem to have been standard practice for far too long. With the spotlight shining on these practices, many of the ‘culprits’ have been actively working to unwind and remove those practices before it becomes outlawed. However what is important to remember is that at the time of publication, the Royal Commission is a series of recommendations to the Government. Both of the major parties have committed to taking action on all 76 recommendations, however, if you see a headline stating or some inference that recommendations are in force as of today, then that is not the case. As it stands today, the Royal Commission recommendations don’t seem to have a large impact on our business and on the way we are already required to provide advice to you. The mortgage broking industry seems to be impacted the most. The banning of Trail Commissions is the headline capturing most attention. However we believe that some of the other recommendations (such as requiring Mortgage Brokers to be subject to the same stringent rules as those providing Financial Advice) as potentially providing just as big of an impact to them. As most of you are aware we do have a Mortgage Broking arm, called Wiseman Finance, which if this recommendation was to be implemented, will allow us to further consolidate our experience in lending with the over 30 + years of our Financial planning business. However this may still be many years away before it becomes law. With so many opinion pieces and news headlines regarding the Royal Commission recommendations, it can be confusing. We have noticed that there are many ‘experts’ prepared to provide their thoughts under the guise of being an independent guest of the program. This may or may not be the case. We think it is best that you take this into consideration when reading, listening or watching the news. And please remember, we are here to answer any questions that you may have, so please feel free to get in contact with us.